The top area in Budapest. A comfy atmosphere, with free wireless internet, we have really warm and friendly and helpful employees who offer you a 24 hour reception. These are some of the services which our nicely established hostel presents. Really good location so helpful reception~! The hostel is located in central city so you can reach to any centre of places easily but inside hostel is very quite so can take a rest well. The reception is really helpful that one of the greatest kindness I have ever seen. The hostel is laid back, small, and a place you can relax instead of the typical large party hostels. The property owner is very helpful and nice. The location is also perfect, right inside the center. The man at the desk, Gino, was so personal and friendly that I felt instantly at home! It was a great, cozy, comfortable place in a excellent location close to the river and the red metro line. I really liked everything, especially the perfect location as properly as the attention, help and info given by the hotel&'s owner. Fully recommended. Nice house but really dark. 11 o&'clock light out is a bit overdone. Everything ok, quite hostel, extremely clean! and jeno was super welcoming hostel owner! We don&'t suggest this property. in case you stay here, you will have extremely bad mood and bad experience in Budapest. My personal encounter from staying at home for home hostel was fantastic. It is located in a residential building and has a comfy sense to it. Whilst staying here I met a variety of individuals and we all played board games inside the public living area. The management were extremely warm and friendly and really knowledge about the surrounding area, plus joined in on conversations that took place. It was clean and secure and would recommend it to fellow backpackers/tourists. I liked the fact that the dorm I was in didn&'t have bunk beds - instead it was a split-level room with 5 single beds so it felt much more spacious than a regular dorm. The kitchen was properly equipped along with the employees were really hepful. 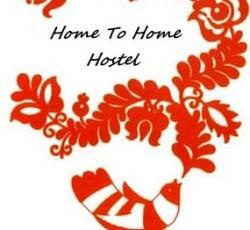 * Home To Home Hostel rated 4.56 out of 5 based on 9 customer reviews. Hostel reviews with a star rating are sourced from HostelBookers. If you find Home To Home Hostel with the same booking conditions at a lower rate somewhere else on the internet after you have booked, we will refund you the total difference.